The USA Hockey National Satellite Program first started in the late 1980's by Jack Blatherwick, one of the U.S. Olympic coaches in Minnesota. The purpose was to train players for higher levels of play, with the possibility that some of these players may be chosen to represent the United States in International Competition. Massachusetts under the direction of Dan Esdale and Coaching Director Joe Mallen brought the program east and expanded the age groups from 18 yr olds down to 13 year olds. They decided to start with younger players reasoning that good training habits could be of greater benefit if they were practiced at a younger age. With the success of the program at the 13-year-old level the 12-year-old level was added in 1998 with 86 year-of birth. 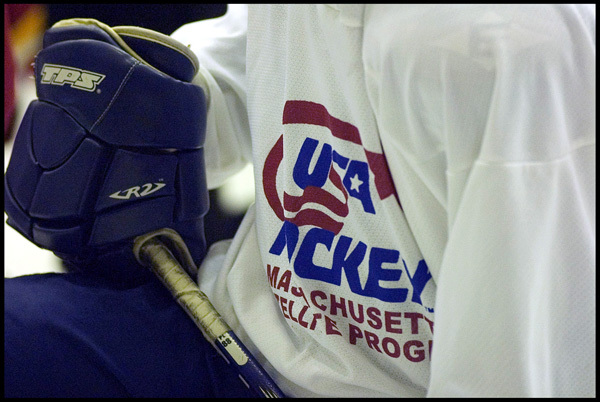 Since the expansion of this program Massachusetts has returned to its position at the pinnacle of player development in the U.S.
On-ice training and preparation modeled after US National, Olympic, and college hockey sessions. Off-ice training program that focuses on specificity exercise. Through a positive atmosphere, one that employs encouragement ,fun and enjoyment of participation.